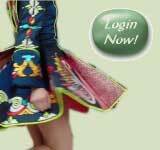 Welcome to the McNulty School of Irish Dance members area! From here, you can log into your account, set up a new account or retrieve your user information. If you've forgotten your username and/or password, please enter your name and e-mail address. Your log in information will be sent to the e-mail address on file.